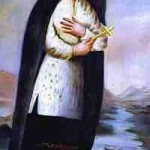 Saint Kateri’s devotions, First Holy Communion, love of her people and her good works. 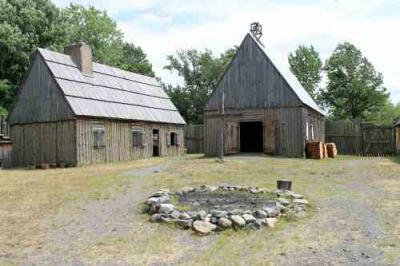 One of the things that impressed me most in this chapter was the piety of this community of Christian Iroquois at the Jesuit Mission. They assembled for morning and evening prayer everyday, heard mass together (sometimes more than once), would hold frequent spiritual conferences, all would carry a Rosary and all would stop their work to Pray the Angelus three times a day. They loved to sing and learned much of their Catechism by learning spiritual hymns composed in their own tongue by the Jesuit Missionaries It is sad that today many church hymns are vague. Hymns such as Adore te devote or Veni Sancte Spiritus clearly explain Catholic dogma in a beautiful and poetic way. If it helped make converts and form the Faith of these pious Indians one can only sorrow for what bland, vague and insipid hymns do to the faithful today.